It’s been a bit of an emotional roller coaster these last few weeks. The royal wedding and the dreamy-eyed three year-old who gasped as she saw the princess in her wedding dress. The death of Osama bin Ladin and the variety of responses. And our congregation experienced three deaths in two weeks. In the midst of life’s ups and downs, I am really grateful for simple family moments, like kids eat free night at Moe’s. 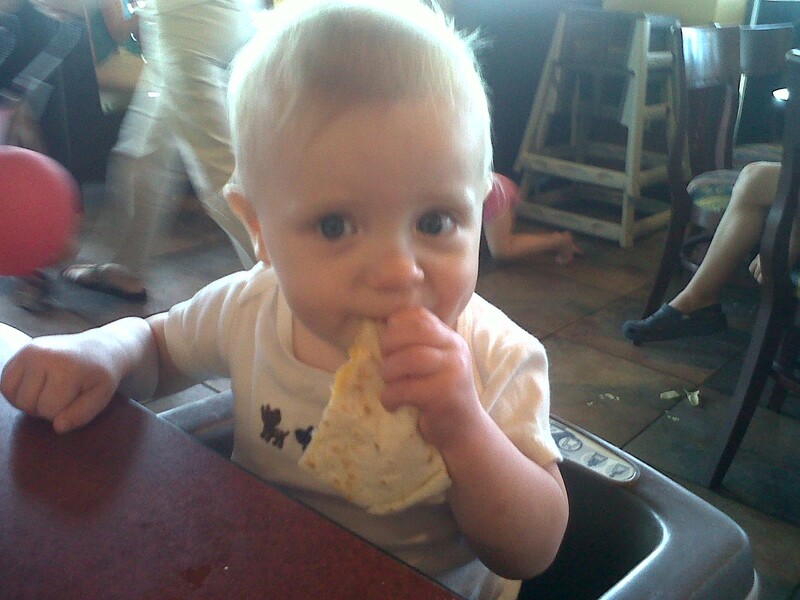 Although, this does add to my emotional roller coaster because my baby is now nine months old and can eat a whole quesadilla by himself. I didn’t even have to cut it up.